It is July 2003. In the middle of its maiden voyage, the luxury cruise ship Emerald Dolphin suddenly catches fire and sinks. What caused it? Why didn't the alarms go off? What was its connection to the revolutionary new engines powering the ship? Take another thrill ride with Dirk Pitt. Great book , not enought detail like in the unabridge version. Would you add that to your list of books. Reading was good short on content. 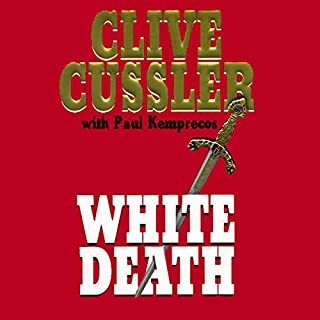 Always enjoy Cussler and co. fiction based on some historical facts. it is believable si fi adventures with wonderful characters. such wonderful heros. Reader is great. 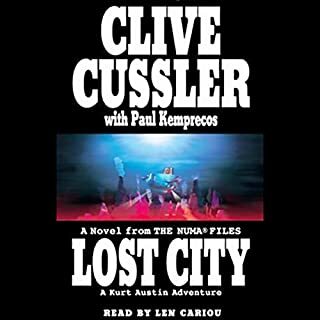 I have not read a book that I didn’t like from Clive Cussler. There is always adventure, a mix of history and just awesome characters. Suspension of disbelief required when you enter the world of Dirk Pitt. You also have to love the style, structure and familiarity because the stories are so formulaic. Once you embrace those minor details you are in for a classic action packed story with damsels in distress and heroic feats of "Derring-do". One where the good guys win every time and hidden wonders await. 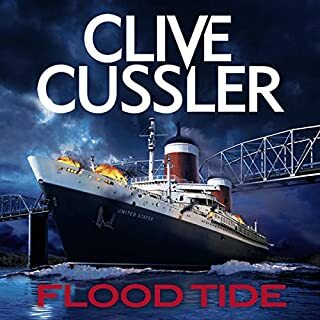 Typical Cussler, several twists to the main plot, great writing, very entertaining, another winner for Clive Cussler! I enjoyed this adventure greatly, although there are a few chapters that seem to be condensed and rushed thru. The ending was touching and left me with a smile. I will return to enjoy it again soon! My first C Cussler book, it did not disappoint! I was looking for a new audible series. 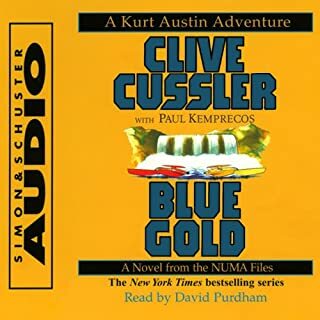 I remember my son reading Clive Cussler in high school. Of course he said it would be a good series and though I haven't gotten a start-to-finish series, it's definitely a great book! It's never too late to discover Clive Cussler. 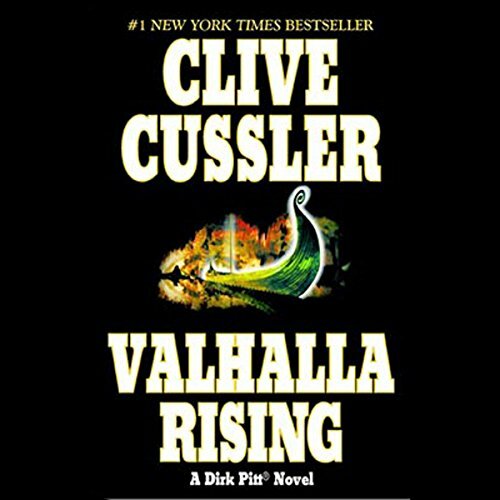 It took me 70 years to discover Clive Cussler's writings and I'm glad I started with this one. No dull moments. Ron McLarty's voice drew me into the story and I was totally captured. If you haven't already explored "Valhalla Rising," do it! There will be no spoiler alerts coming from me, This story needs to be experienced first-hand. No, I'm new to audio books. But I sample before I buy, and if the voice doesn't please my ear I leave it alone. Mr. McLarty's storytelling is so far the best that I've "read." He keeps the tale alive even when discussing technical subjects. He makes one feel like part of the crew, IN the story rather than outside looking in. Again, no spoilers from me. Sorry. 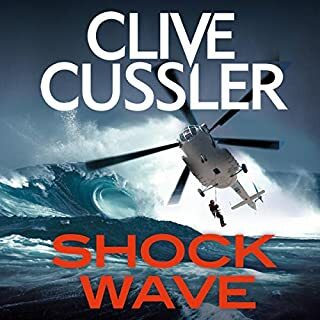 Be prepared to get hooked on Cussler. 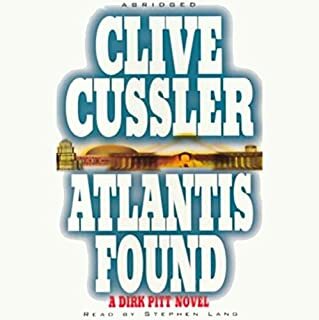 A great Dirk Pitt had adventure. I enjoyed the story and had no problem following the plot. The narrator did a great job.